When it comes to period pieces in video games, you’d be hard pressed to find one that was implicitly designed to show the struggles and journeys of that time period. That is why it’s good for a game like Herald to exist: to show us both how a piece like this should be done, and how it shouldn’t be done. 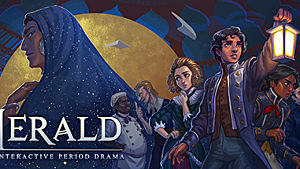 Herald is developed and published by Wispfire, it’s a point and click adventure period piece set in an alternate history 19th century. This gives it a chance to explore the possibilities of being alive in that time period with several exceptions and changes, giving the writers a little more freedom; this is both a good and bad thing. In the realm of point and click games, it’s pretty straight forward. It’s incredibly simple to get what you need, when you need it. You click on people, you check out their bios in your journal as well as some information about the world you’re in. It’s good that the developers did this because it gives you the chance to focus on what they obviously wanted you to focus on, which is the story. That said, it should be mentioned that the game has a tendency to make you backtrack a lot. While it makes perfect sense because you’re on a ship, it would have been nice to have either a fast travel system or to make our dear protagonist move slightly faster. The poor fellow moves agonizingly slow, even by Dropsy the Clown’s standards. 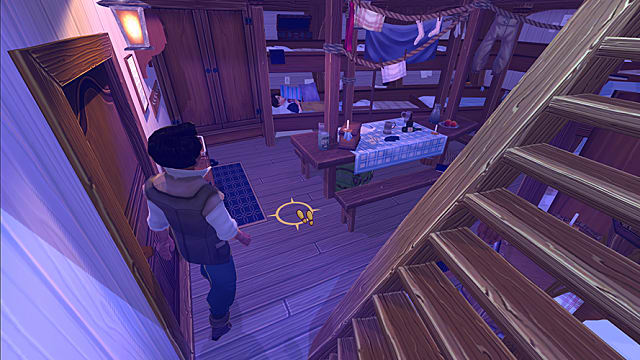 While traveling by boat, the player will find themselves talking to a large variety of characters that have varying degrees of value throughout the game. The rule of thumb is: if they don’t have a beautifully drawn portrait, they aren’t important. Sadly, there are times where it’s a little disappointing you don’t get to talk more to the crew, outside of the small number of characters that you actively get to speak to on multiple occasions. Other than the cameo by Jim Sterling, you don’t get much of a feel for the other sailors besides a few officers, and that just leaves some ambient dialogue. This brings us to the story and the contents of it. On one hand, we have a deftly written, well-acted piece that brings to life the struggles of those who lived in the 19th century and how they might apply to us now. On the other hand, it’s a tone deaf, poorly implemented, head-scratching, and bizarre mess that should have been checked over a couple of times more before release. You may see where this contradicts itself. Let me make something painfully clear: Herald doesn’t have a bad story, it just has an ungraceful story that could have implemented much better. This is only made more apparent by the sheer fact that the game is episodic, with the first 2 episodes being released with the game and the second two coming later. This means I can’t look at this game as a cohesive whole yet, and the episodes themselves aren’t constructed in a way that they could stand on their own, especially when you take the likes of Life is Strange and The Walking Dead into account when thinking about this. 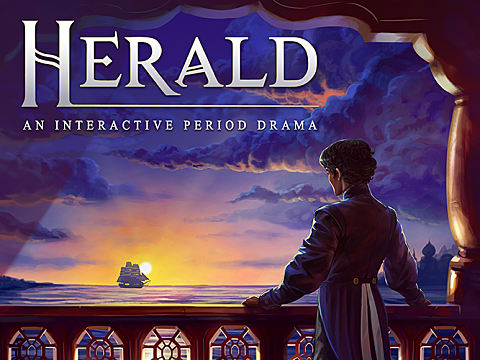 Herald is a very choice-heavy game, which means each choice you make or each thing you say in the game matters in some way, shape or form. The way that the choices were designed were meant to have tints of a moral greyness about them, like there was no real right or wrong answer to make. Yet when you actually speak, it tends to come out differently and can of course offend the characters in some way, shape or form. A good example of this comes at the beginning of the game, where you can speak to the cabin boy when he’s praying, yet one of your answers can automatically lock you out of further conversation with him. For the rest of his time in the game, it’s hard to talk to him outside of the big plot points; this leads to the big twist at the end of the first episode falling flat, because all we know of the boy were a few small plot points and almost nothing else. 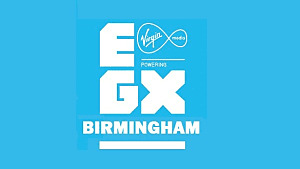 The game exposits on diversity and how it is to be someone of a different race or a different gender in this time period, deftly discussing these things with the player (particularly in the second episode). But then it almost never touches upon these things again, or worse: it does it does so in a way that cheapens the experience overall. This doesn’t happen every time, but it happens enough to make it more frustrating than it needs to be. It’ll lock you out of discussing things further because you seemingly said the wrong thing, despite the game wording your responses in such a neutral way the answers you pick seem like decent answers for the majority of the time. Then it abruptly turns out that it’s somehow the “wrong” answer and leads to a tragedy out of nowhere. When it comes to games like this, some people use their hearts to make their decisions, some people use their heads, or some their gut instinct. In Herald it seems that no matter how you choose there’s no definite answer or decision. Say what you want about Telltale games, but when they give you a binary choice, you have a clear idea of how things could go with some variations; in Herald it sometimes feels like a crapshoot no matter how you play. 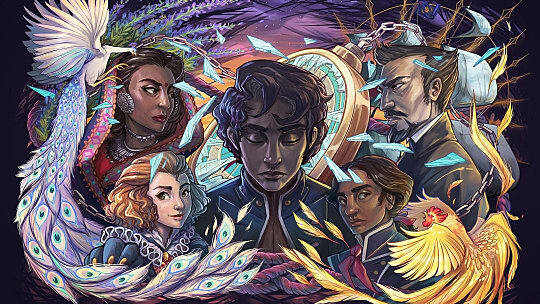 Herald is a diverse point and click adventure game that handles some subjects with a deft hand, but sometimes stumbles over the tiniest pebble in the road. Note: Herald was provided free by the developer for the purposes of this review.